After a good start on the all weather this year, we now look forward to having runners on the turf. From our small string we have a few new horses to look forward to running in the near future. Tommycole was claimed by Dave Milthorp after running well in a competitive claimer at Newcastle. Hopefully he can build on that later this month. 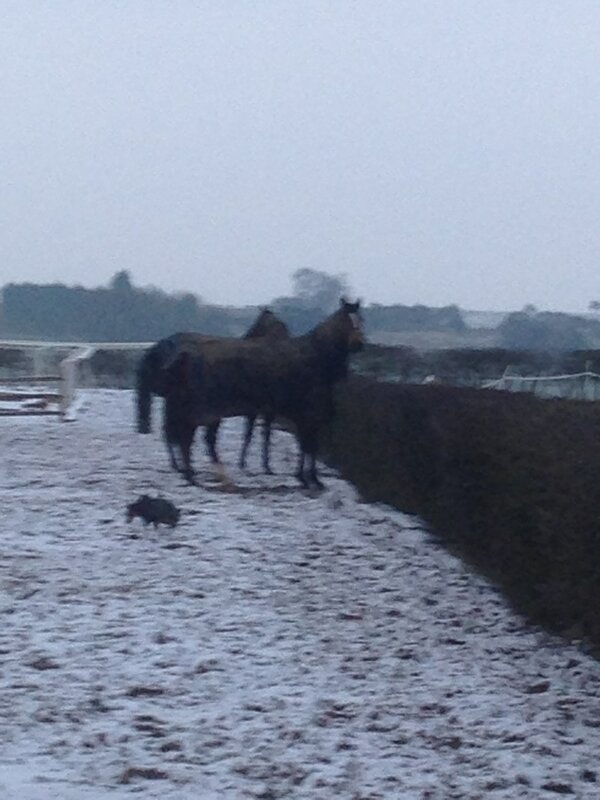 Raspberry, a three year old unraced filly, is due to run in a months time all being well. Her full sister won three times last season so there is hope for her especially as she working well at home. Kostantina is another unraced filly who was bought by David Bayliss from Roger Varian back in December. She also has relations that have run well. Shes a lovely big filly and we hope to run her in late April. Battle Commander, an unraced three year old gelding, is a big strong horse who still has a bit of growing to do so he will probably run later on in the year. We also have a few horses that have been running on the all weather over the winter that will run on the turf this spring/summer. Going Native who won well over a mile and a half at Southwell in March is a game filly who seams to thrive on the surface at Southwell and we hope to emulate that win in a couple of weeks time back there. ​Essential is another horse that enjoys the surface at Southwell. He will run on the turf before he has a holiday, however he does wants soft ground. In the mean time he will run on the all weather later in April. Lincoln Red had his first run of the year at Southwell this week. He was slow away which wasn’t ideal but he did show a good turn of foot before tiring late on. He is certain to win before long. Viking Way has been very unlucky still to be a maiden having been second three times last season. He nearly won a few days ago being narrowly beaten in the final stages of the race. He’s another horse certain to win before long. ​We are hugely disappointed that Tricky Dicky has been removed from our yard. Tricky has been an absolute superstar for our small yard winning 7 races and placed numerous times. He was our first horse on our yard and our first winner. We have nurtured him into the consistent and successful racehorse he has become and we will forever be in his debt. Horses come and go in this business but he will always have a special place at Stone Stables. You are on the brink of another win very soon and we hope you continue to be the legend that you are. Massive thank you for everything you have done for us Tricky and we wish you all the best for your new trainer Roger Fell. Its been three years since we started the build of Stone Stables and we can now proudly say that the yard is now completely finished. With 16 boxes sat on the top of the Lincolnshire Wolds, our horses really do get a 'room with a view'. We are very lucky to have had the opportunity to design and build our own yard which was designed with horse welfare in mind. 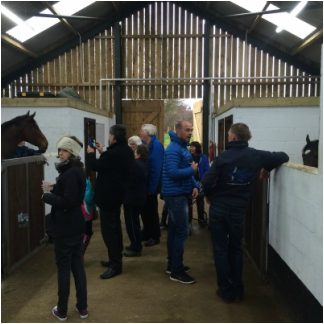 The main yard is under one roof which has wooden slats on the outside and a window in each stable to ensure clean air can flow throughout the yard keeping the air clean and dust free. The yard is located in the perfect position with the natural landscape providing the most natural of training facilities. The rolling hills of the Wolds provide all of our horses with a good test of stamina and strength. With the completion of the yard, we would be very happy to welcome you to Stone Stables. Come and see it for yourself! With the shortest month of the year nearly over and spring in sight, it can only mean one thing... the flat turf season is just around the corner! Reflecting on the last few months, one horse in particular stands out on his form last season. Tricky Dicky ran a total of eleven times winning on four occasions and being placed six times.He really did his owners 'Eight Gents And A Lady" proud. He is bigger band stronger this year and we look forward to getting him back on track some time in April. 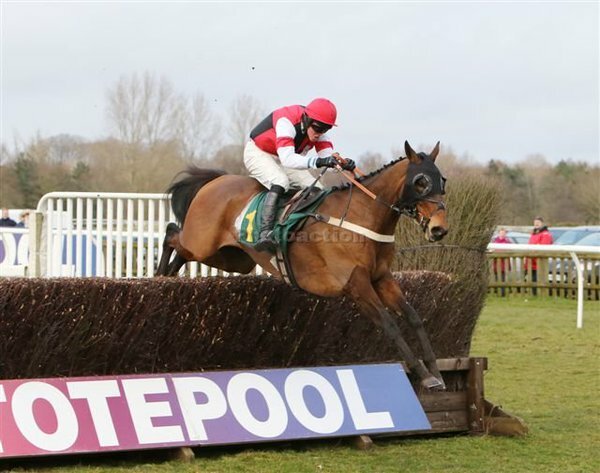 We tend to train more flat horses than jumpers but Wings Attract who is engaged to run at Doncaster tomorrow hit form on his latest run over fences at the same course and probably would have won if the loose horse hadn't hindered him through most of the race. He runs over hurdles tomorrow, as there aren't any races on good ground for him at the minute. Amateur ran a very strong race at Lingfield in early December. Unfortunately he was sold out of the yard. I'm sure he will prove very useful for his new connections. Monbeg Farmer owned by the 'Folk From The Shire' partnership was running a great race at Huntingdon back in October when chasing the leader in second. Unfortunately he broke down badly two out and has been retired and re-homed. We wish him well in his new life. For the coming flat turf season we have a few nice horses to look out for. New Tale, an unraced there year old by Harbour Watch was bought out of William Haggas yard back in October buy David and Sonya Bayliss. He is a lovely big horse that has taken time to mature but is working nicely now.We hope to run him in out in early April. Dark Hedges, a two-year-old filly by Zebedee is small but very strongly built. She is coming along well and showing she has some speed. Her mother was a very fast two-year-oldwinning nearly 100k. We hope to have her on course by early April. Ex Kanisfluh by Monsieur Bond another two-year-old filly whose mother was also a speedy two-year-old trained by Tommy Stack in Ireland,she is starting to showroom potential. She's well put together and loves a bit of cut in the ground. We hope to have her out in late April. The 'Folk From The Shire' partnership are heading to the breeze up sales at Doncaster in April to find a nice two year old for the season. If you are interested in being a part of it, please get in contact, as there is a couple of spaces left. Stone Stables is busier than every at the moment with another 4 new recruits joining the team. A lovely bay filly by Zebedee who is owned by Rhys Williams and James Hanna who are looking forward to enjoying racehorse ownership for the first time. Olly and Lynsey are thrilled and honoured to be training 'Wings Attract' for Mr and Mrs Rann who have also sent two smart fillies to accompany the 133 rated chaser. Olly is very excited about the partnership with Mr and Mrs Rann and their stunning stud facility, Mill Farm Stud. Both Lynsey and Olly are looking forward to an exciting NH season with Wings and an educational winter for the babies! In his second season of his career, Tricky Dicky has maintained his winning streak with 3 wins, 2 seconds, a third and 4 fourths from 10 runs as a 3 year old. His consistency has been enjoyed by the 'Eight Gents and a Lady' partnership from Doncaster. The local media have celebrated his performances creating a local following of the yard favourite. After attaining his license for just 13 months, Olly is already demonstrating his training abilities whilst working alongside his wife, Lynsey who rides Tricky Dicky at home. Tricky has an exciting future ahead of him and he is certainly flying the flag for team Williams. 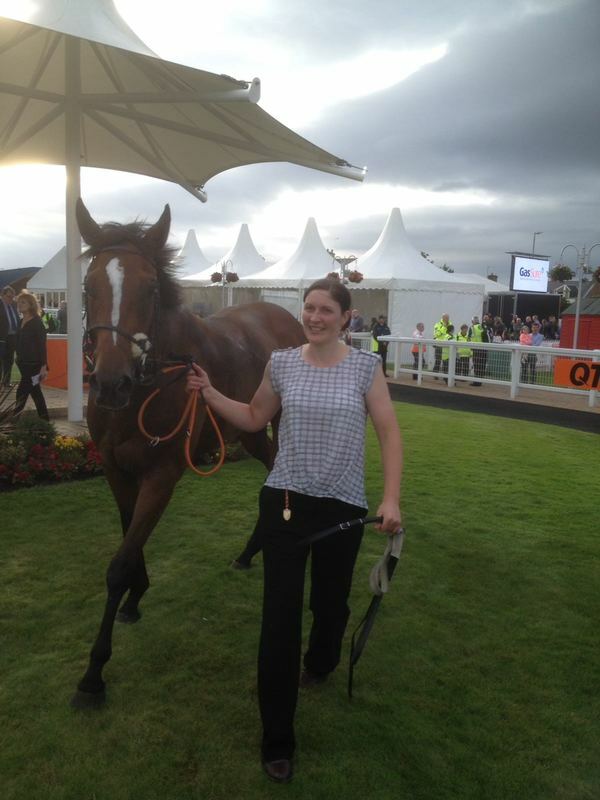 Catterick, 20th July saw Tricky Dicky smash home in the 6f handicap, fighting off 10 other runners with ease. 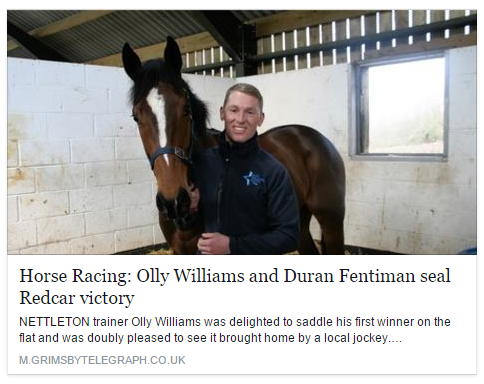 This win gave Olly the chance to speak with the press who provided Olly and the yard with some fantastic publicity. Tricky Dicky, flying the flag for Olly Williams Racing. Tricky is entered for Ayr on Saturday. Fingers crossed he runs well. 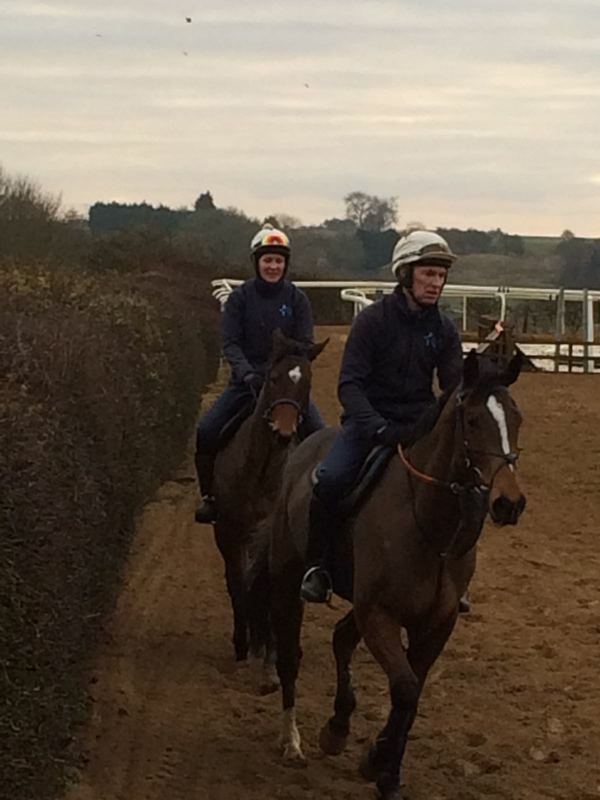 After the Newmarket breeze up's and horses in training sales at Goffs, we came away with two very exciting horses. 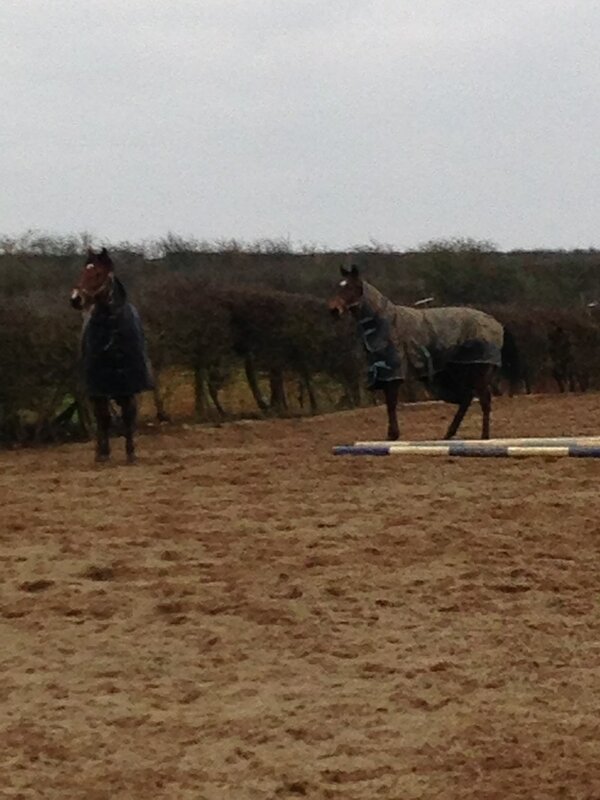 Copa Beech on the far left is by Paco Boy and he will be running very soon for owners Mr & Mrs Bayliss. Monbeg Farmer has been placed in point-to-points in Ireland and is set to run this summer for the Olly Williams Racing Syndicate. We are thrilled to have new owners and new horses who look set to make a big impression. Fingers crossed! We are very excited be making the local papers. Even more so as the story involves a local team with Duran being an old friend of mine. This week Arkaim's owners, Mr and Mrs Bayliss, paid a visit to Stone Stables and came with plenty of carrots for the team which went down very well.. Arkaim is working well and we look forward to his first run with us. It is a privilege to train him for his lovely owners and we look forward to the future with him. 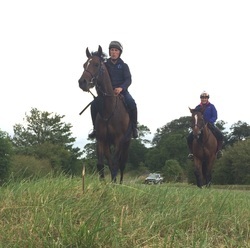 This week we have seen two new horses join the team and we are very excited for their future. Arkaim is an 8 year old by Oasis Dream and is rated 135 over fences. He joins us for a new owner and we are thrilled to have him in the team. 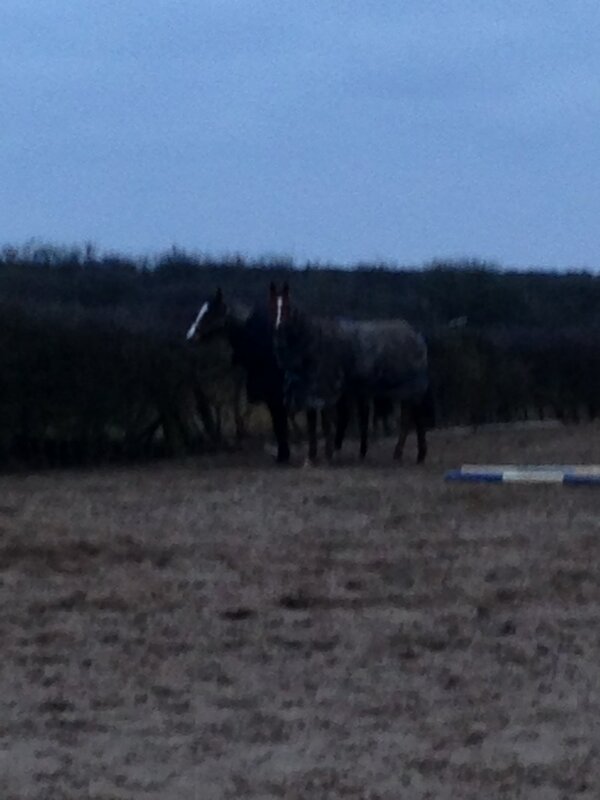 The second horse is a lovely 2 year old filly by Stimulation and both have settled in very well. Watch this space! 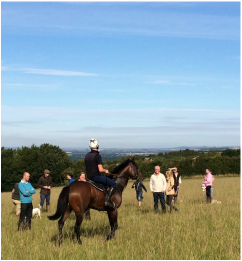 Thank you to all who attended our owners day on Wednesday. The horses certainly enjoyed themselves, maybe a little too much! Well done to Martin who won the big racing quiz with a clear 5 points! We hope to have an open day later on in the year when the sun is shining! 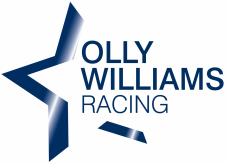 Boxing Day of 2015 will long live in the memory for not only myself but also family friends and supporters alike of Olly Williams Racing. Xenophon, who had only joined the team 14 days previous, landed his second race on the trot at Huntingdon racecourse in the 2m7 ½ furlong Racing FX Online Handicap Chase by 6 lengths on ground slightly softer than he’d usually act on. Thomas Cheesman, Xenophon’s previous winning rider, was unavailable to ride him so Ben Ffrench Davis took 5lbs of his 7lb claim off his back after putting 2lb overweight (obviously he ate too much turkey the previous day), to win comfortably. The little horse with a big heart has now gone up in the handicap by 17lbs since winning at Doncaster a month ago. He has an entry at Huntingdon on the 6th January but is not certain to run at this time. My first winner as a trainer was hopefully just the start of a successful career in such a wonderful sport. On Wednesday 14th October No Rum ran at Wetherby in a juvenile hurdle race. Most of the partners from the 'All Right Partnership' went along to see Rummy in his second ever hurdle race. He ran a blinder with Adam Wedge on board to finish third behind two winning flat horses. The 'All Right Partnership' had a fantastic day making the most of being in the winners enclosure, and even picking up a bit of prize money too! He seemed to love his job and jumped great. We look forward to getting him out again soon! 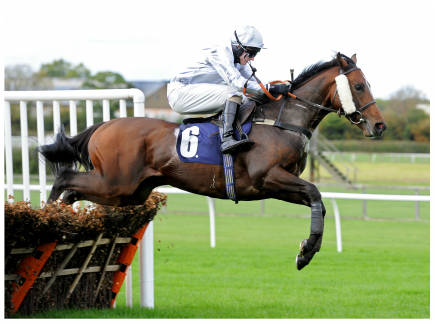 On Saturday 26th September, No Rum made his hurdling debut at Market Rasen. Although it was a big race for him, he did a great job and jumped well. Now we are dropping him down the grades and head to Wetherby for his next challenge. The All Right Partnership had a great day out at their local racecourse and are looking forward to his next run! This morning we schooled No Rum over hurdles. 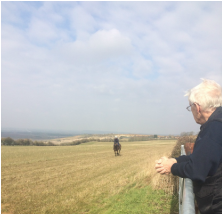 A few members of the 'All Right Partnership' came along and enjoyed the morning on the gallops with bacon sandwiches and coffee afterwards. We are looking forward to seeing No Rum take on his hurdling debut towards the end of Sept/early Oct.
Only yesterday we welcomed our newest recruit. She doesn't have a name yet but she is a lovely 3 year old filly from Ireland. She will go jumping eventually. Another fantastic article features in the Lincolnshire Echo for Stone Stables. Its a great read! Today Tricky Dicky ran in the 2.40 at Haydock for the '8 Gents and a Lady' partnership. 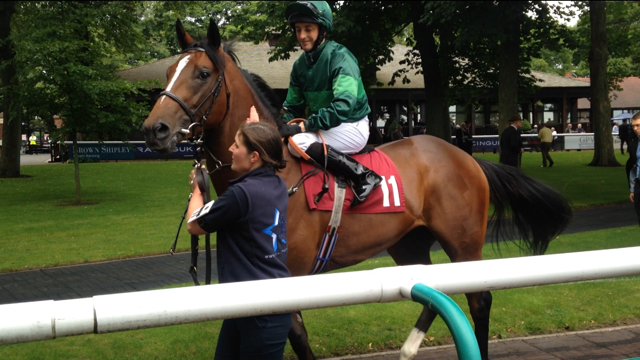 Duran Fentiman was on board and gave him a cracking ride for Tricky's first appearance on a racecourse. Although he was unplaced, he ran a great race but just got tired. We are looking forward to seeing him in his next race. Watch this space! We are incredibly excited to announce that Tricky Dicky has been entered for Haydock next Thursday. He is owned by a fantastic group of people from the South Yorkshire area and I am privileged to train this horse for them. Lets hope he runs well! We are very excited that our news is spreading fast. This week the Market Rasen Mail have written a piece on our new adventure. We are so pleased to hear that so many people are taking an interest in what we are doing at Stone Stables and we appreciate all of the support we have received already from friends, family and locals! Finally after months and years of planning, Olly has finally received his official license to train racehorses under rules. Keep a look out for his first runner. The two new recruits have been doing some stalls training this week. Olly was particularly impressed with 'Tricky Dicky, who jumped out really well and is showing some real potential.. This week we have welcomed 'Rummy' to Stone Stables, who will be running for the 'All Right' partnership.